2017 P3 Hikers – top row L-R: James Bishop, Rachel Blankenheim, Heather Diaz, Laura Johnston, J.J. King; bottom row L-R: Anna Machowicz, Krystian Repolona, Owen Rojek, Karen Wang, Kelly Kate Warren. 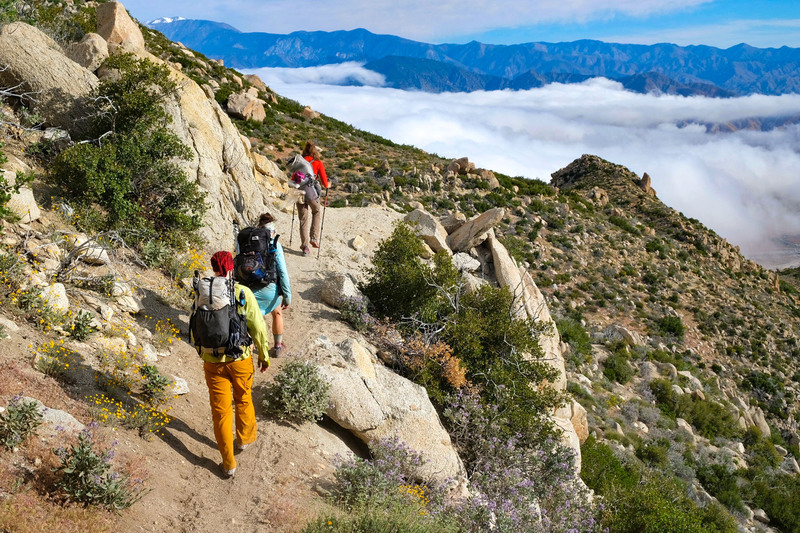 PCT thru-hikers have always told us how much the trail means to them. Many want to give back somehow. 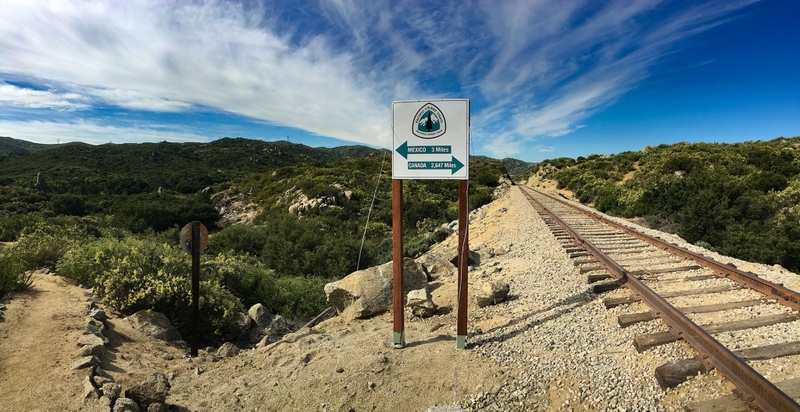 So in the spring of 2017, inspired by this—and by increasing pressure on the trail from its growing popularity—we created the P3 program: ten thru-hikers selected to share their experiences toward the goal of helping to protect, preserve and promote the Pacific Crest Trail. We considered this first year to be a pilot for the program. 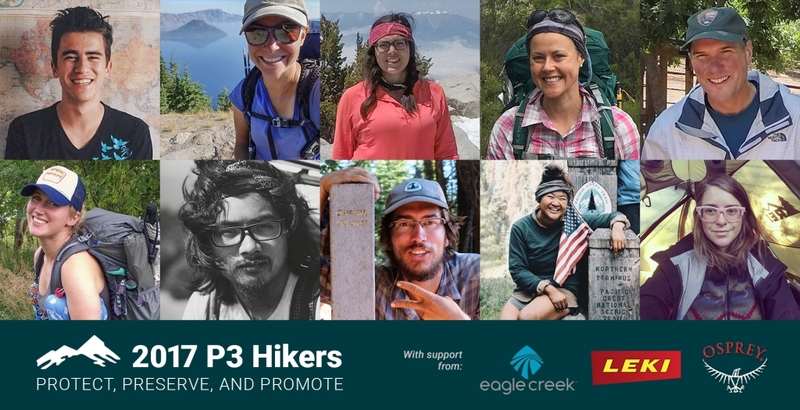 Joining us for the venture were three of our corporate partners who help support the PCT: Eagle Creek, Leki, and Osprey. From the beginning, we wanted P3 to be different from other hiker influencer programs. Our direction to the hikers was simple: share your hikes as a way to foster stewardship of the trail. Initial response to the program was enthusiastic: we received more than 75 applications for the 2017 P3 class. Choosing 10 was difficult, because almost all were passionate about protecting the trail. Our inaugural class consisted of six women and four men from nine states. The first hikers began their treks in early April. Though all were enthusiastic about PCT stewardship, some P3 Hikers had other goals as well. Heather Diaz, a native Texan, felt it was important for others in her home community to see her doing something many of them never imagined. Musician James Bishop wanted to tell the story of his experience through music. He carried a small guitar for much of his hike and composed songs along the way, which he is now recording for an album and tour called We Go Together. The first P3 class couldn’t have known when they began their hikes that it would turn out to be one of the most difficult years for thru-hiking the PCT. 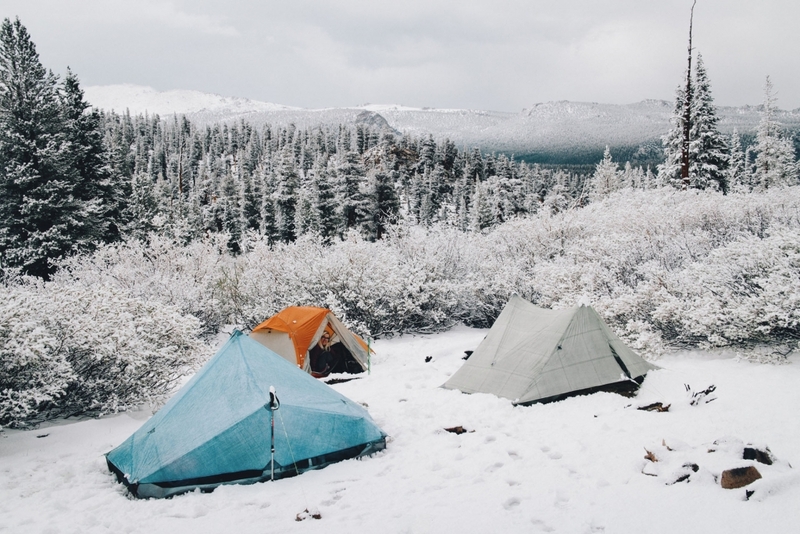 Record snowfall in the Sierra Nevada Mountains and wildfires throughout much of the northern half of the PCT challenged hikers well beyond their expectations. During their hikes, the P3 class described both their appreciation for the trail and the unforgettable moments they experienced in short but eloquent updates via social media. Kelly Kate Warren, who was forced to end her thru-hike after several hundred miles due to a broken ankle, offered some timeless observations. Photographer Krystian Repolona described photography as a means to advance stewardship and conservation—and offered some insight to how he approaches his work. In many ways this group of ten P3 Hikers mirrored the larger PCT Class of 2017. Only a few successfully made it from Mexico to Canada. 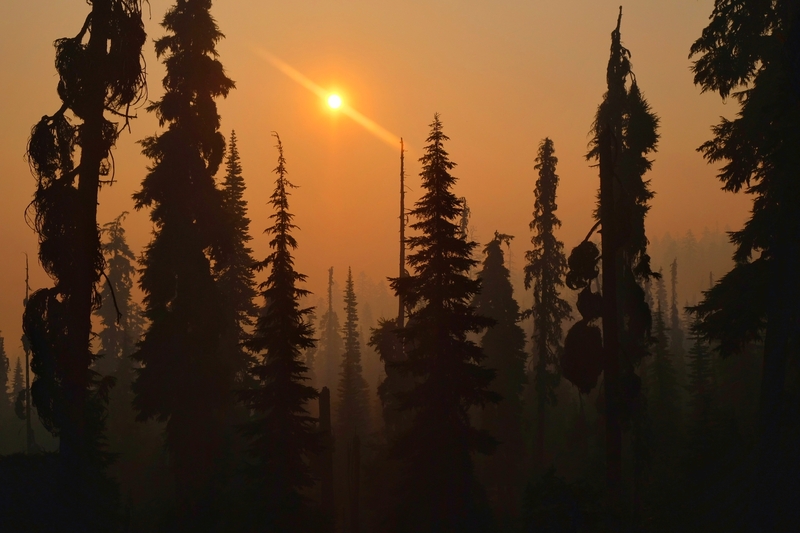 Others were forced to abort their hikes because of injury, or were forced off the trail by dangerous conditions such as smoke from wildfires. 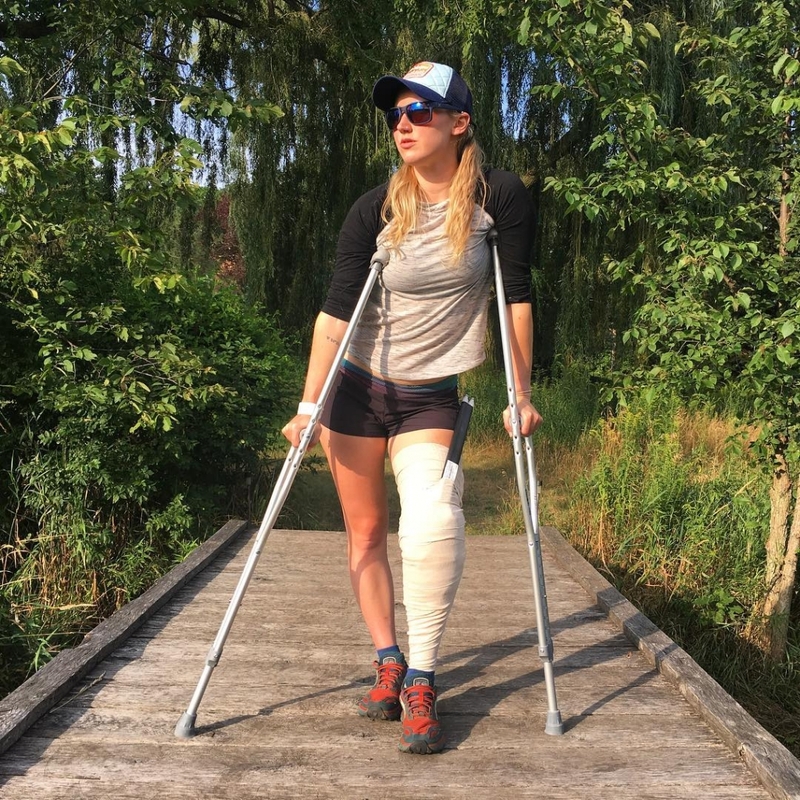 Anna Machowicz, this year’s lone southbound P3 Hiker, was forced to abandon her hike after a knee injury. On July 23, I left the PCT and boarded a plane in Seattle. The day was cloudy, but as we gained altitude and soared into the sunshine I saw her—Rainier. I’ve seen the mountain many times, but never like this. It felt like I could reach out and touch the summit if I really wanted to. Suddenly, three more peaks appeared. Hood, Shasta, and Whitney I thought, although maybe I was reaching. All I knew is I was looking south along the Pacific Crest, upon which my feet should be walking. Instead, I was leaving my friends and my footsteps behind in a cloud of jet fuel. 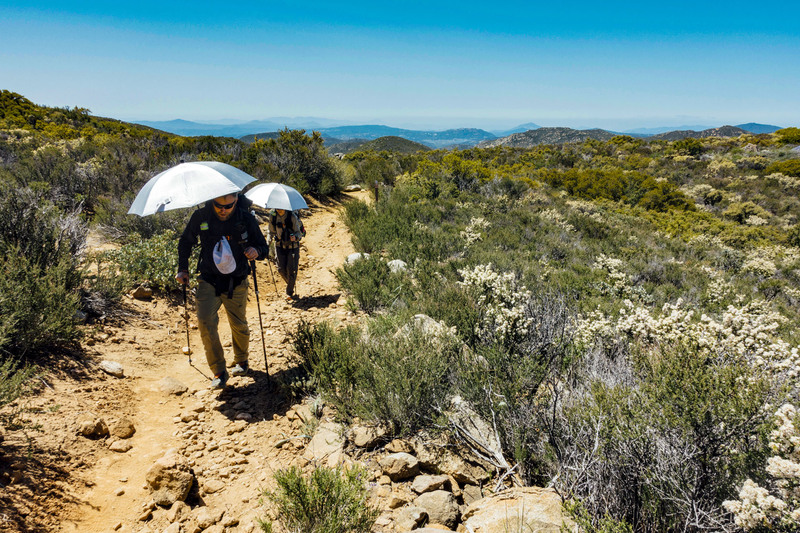 All the P3 Hikers shared their journeys in unique ways and contributed to a greater awareness of the extraordinary value of the Pacific Crest Trail—and the need to protect, preserve, and promote it. 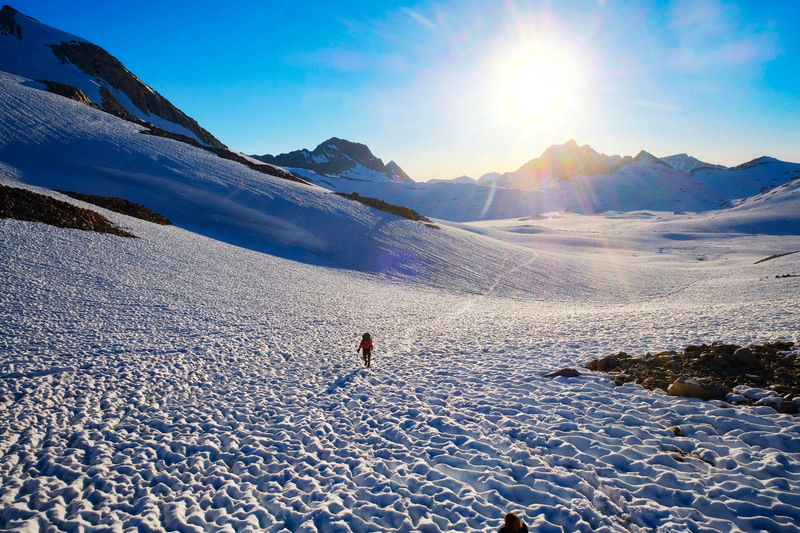 It was a pilot program for us this year, and we’re proud of every one of these hikers. They will always be P3 Hikers. 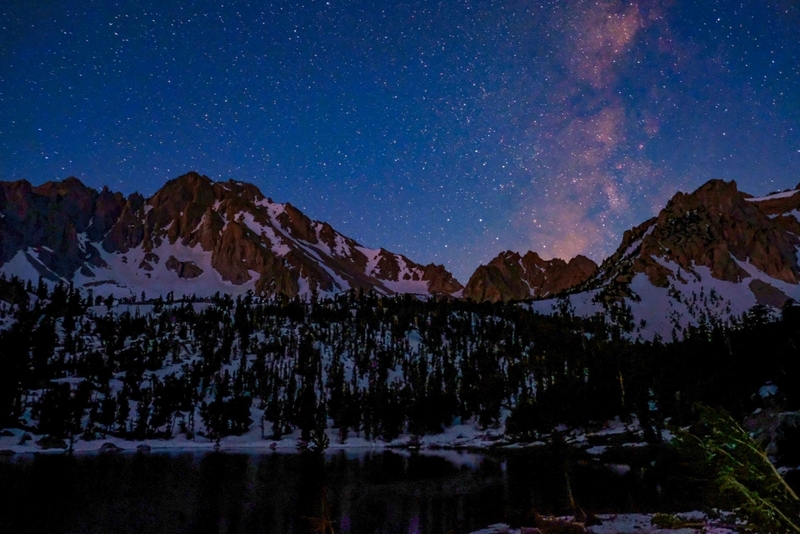 As the cliché goes, “All good things must come to an end,” even a thru-hike. 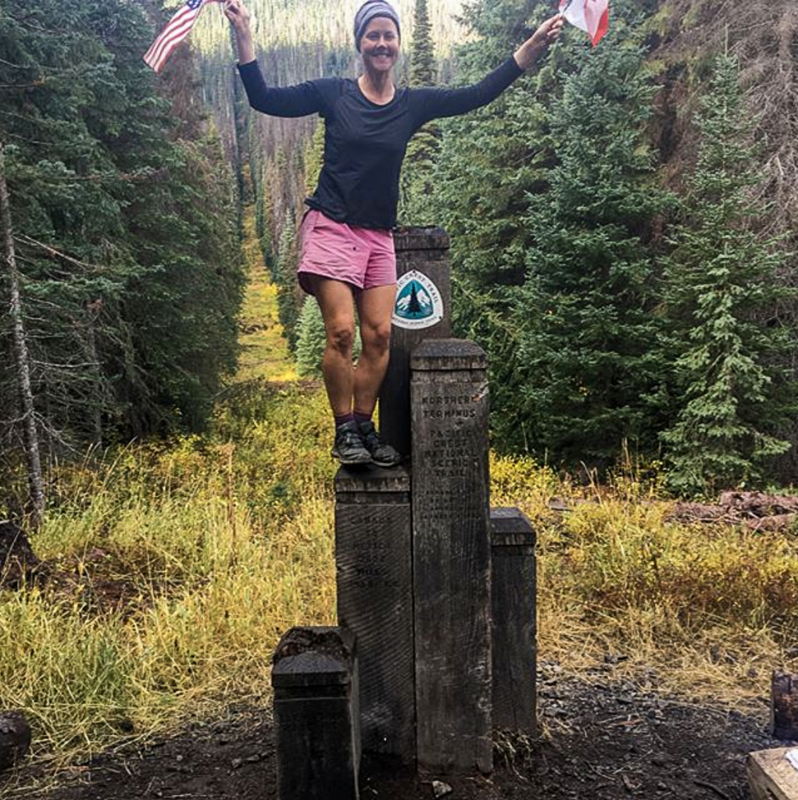 My Pacific Crest Trail thru-hike ended at the northern terminus near the U.S./Canada border after four-and-a-half memorable months of hiking from Mexico and living in the wilderness of the American West. This was my second long hike, after the Appalachian Trail in 2016, and again it has opened my eyes, my mind and my heart while strengthening my legs and my belief of what I am capable of. Of all things I learned on trail, I was reminded daily that we need to go to the mountains, because we are part of nature and need wild places and spaces. Whether you like oceans, rivers, meadows or mountains, you need these places. They call us, humble us, ground us, and connect us with other people in a way that big, busy and online places cannot. This year’s P3 Program received generous support from our corporate partners Eagle Creek, Leki, and Osprey. 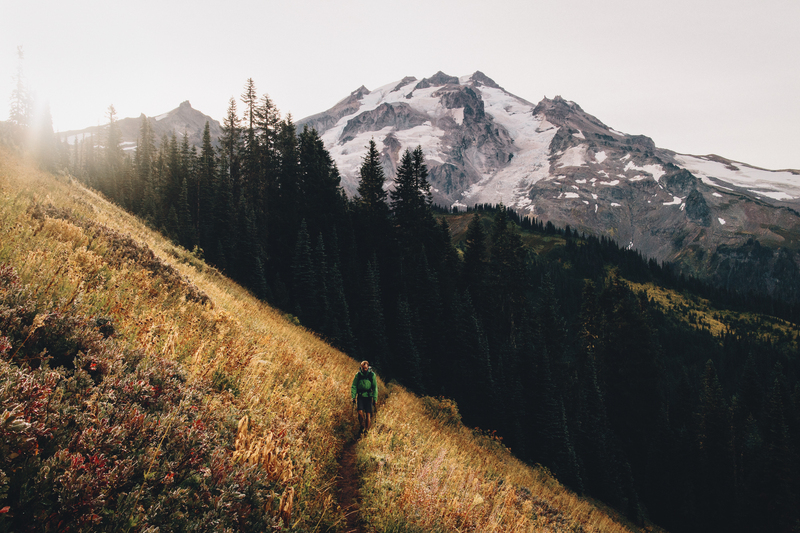 While P3 Hikers weren’t obligated to use gear from our partners, many of them did—and our partners were great at replacing lost or broken gear throughout the summer. They also helped us share the P3 story through their own social media channels. It was a good collaboration, and one we hope to repeat and grow in the future!